The Horror Movie BBQ: Thank Pod It's Friday! Episode 1! Toward the end of 2017, my buddies Derek, TC and I were discussing the idea of doing a podcast together. A few ideas came up, but the idea for a TGIF themed podcast came up, in jest, but as time went on, it turned out to be a good idea. 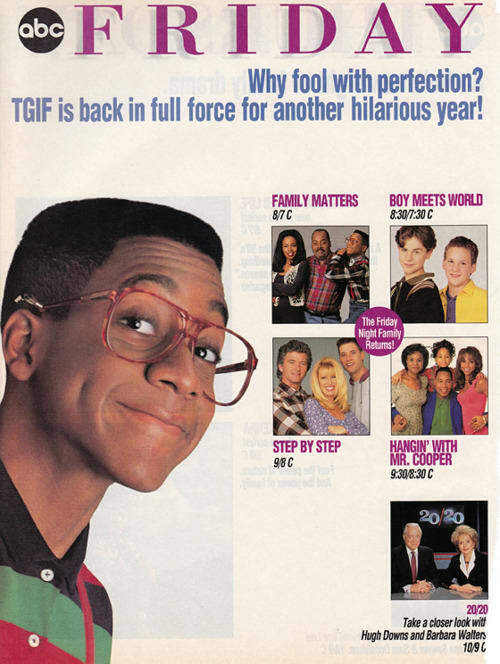 So, from a silly group text discussion about Cody Lambert and Urkel, comes a new podcast! Three great friends who have genuine love for these ridiculous shows and the insanity that went along with them. TGIF went through a lot of ups and downs during it's run and we plan on covering all of it! We all hope you enjoy the show and continue to listen. We've got some fun discussions coming and maybe even some fun guests from some of your favorite podcasts? Hmmm...I wonder who could stop by and join us? Now, to clear up any confusion, The HorrorMovieBBQ Podcast, Graham and Chad Talk Rasslin' , and the Terror Twins Podcast are not going away. Far from it. In fact, you can expect more new episodes soon! This is just another show to sit down and chat with some geeky buddies about stuff we all love! 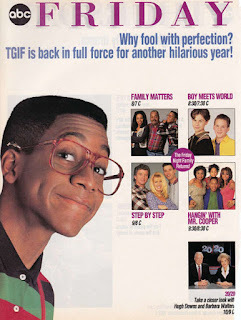 Oh and don't worry, we WILL get to the Urkel eventually!